It’s a Saturday night at the historic Dickens Opera House in Longmont and the joint is jumping. Follow the sound of music up a dimly lit, narrow stairway that leads to a ballroom packed with couples dancing toe-to-toe to the bluesy riffs of Kerry Pastine and the Crime Scene. When the band cranks out a rockabilly tune, the energy on the dance floor rises. Jeff Dahoda guides Lisa Kincannon through three consecutive spins. Boulder residents, they have been dancing together for about three years, mostly variations of swing, like Country, and East and West Coast. 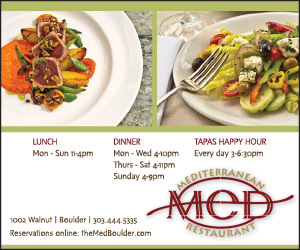 In the summer, the rooftop patio of Element Bistro is packed with couples salsa dancing. 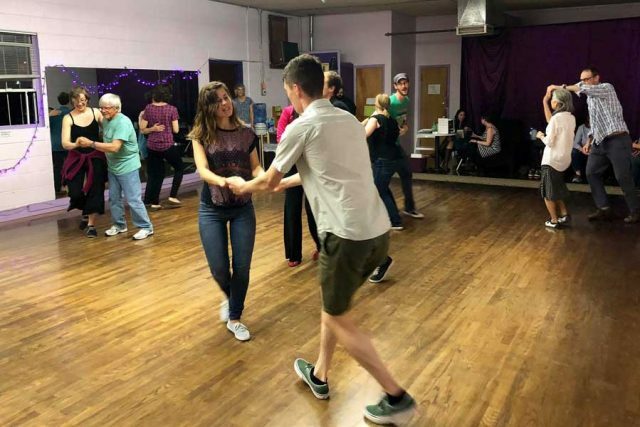 But the heart and soul of the local dance scene can be found at The Avalon Ballroom in Boulder, whose large ballroom and smaller spaces host a variety of dances and lessons every day of the week. Nostalgia also drives the social dance trend. 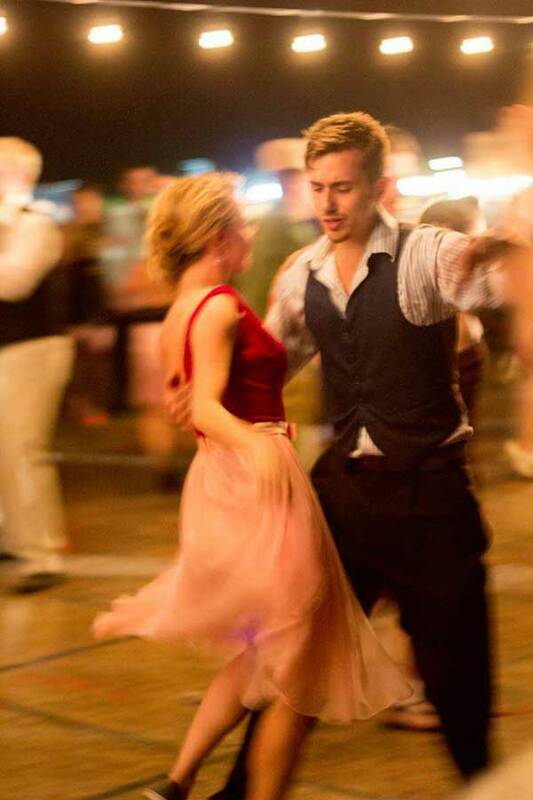 The 1940s WWII-era Ball held every summer at the Boulder Airport attracts dancers in period clothing. The dancing itself is held in the hangar, amidst WWII-era aircraft, as well as on an outdoor stage, to big- band music from that era. 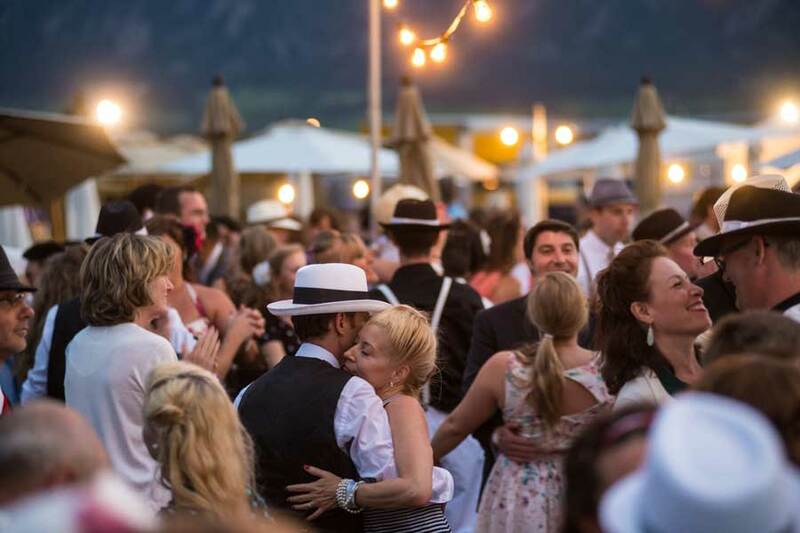 With so many types of dancing, including ballroom, Latin, swing and country, there’s something for everybody. While some dances are fast-paced (think salsa), others offer a slower tempo. Latin tango requires dedication to its art form. The Lindy Hop, jive, jitterbug and other forms of swing dancing have also become very popular. 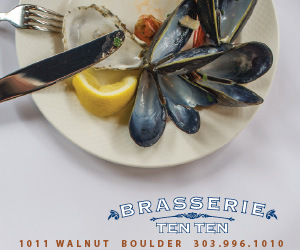 If you have two left feet, many venues in Boulder County offer reasonably priced classes for either group or individual lessons. Unless your goal is dance competition, you only need a comfortable pair of shoes with a leather sole. Many who start competing or dance regularly purchase special dance shoes.